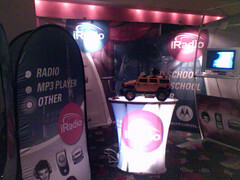 iRadio Waves: Motorola iRadio Booth at Music Player Live! Posted October 23, 2005 09:49 PM Digg It! Del.icio.us It! Email it!